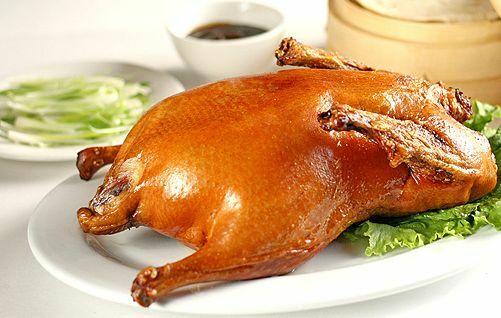 Can you tell me where the best roast or peking duck in Disneyland and Tsim Sha Tsui areas? 1) Celestial Court Chinese - located at 2/F, Sheraton Hong Kong Hotel & Towers, 20 Nathan Rd, TST. A minute walk from TST MTR station Exit F.
2) Heaven on Earth - located at 6 Knutsford Terrace, TST. About 5 minutes walk from TST MTR station Exit B1, Nathan Rd --> turn right to Kimberley Rd. 3) Hutong (Northern Chinese) - located at 28/F, One Peking Rd, TST Peking Road, Hong Kong. A minute walk from East TST MTR station Exit L5. 1) City Hall Maxim's Palace - located at 3/F, City Hall, Edinburgh Place, Central. About 3 minutes walk from Central MTR station Exit J3. 2) Chilli Fagara - located at Shop E, 45-53 Graham Street, Central, Hong Kong. 5 minutes walk from Central MTR station Exit D1. Hello, may i know please.. Where can i have the best and delicious hot pot or steamboat in Hong Kong? Thank you so much. Below are the restaurants we can recommend only in Tsim Sha Tsui area. For Disneyland, we suggest you contact directly to the resort (tel: +852 1830 830) as there's no such like any known restaurant can be found near to it, its all inside. Though inside Disneyland resort, there's a Chinese restaurant "Plaza Inn" that serves Cantonese-style dim sum, signature shrimps, spring rolls, BBQ honey-glazed pork fillets and other delicious meals and it is located somewhere at the Main Street USA section but we're not sure if they do have a peking duck. Getting there: Tsim Sha Tsui MTR station, Exit L6 then follow directional signs going to the Star House. This is a typical Chinese restaurant in Hong Kong. This is also a popular place for trying out Peking Duck and enjoying the great sauces and varieties of contemporary Cantonese cuisine. Prices are satisfactory. This restaurant is famous for its specialty - honey-glazed Peking Duck or the very popular Beijing Roasted Duck, which costs HK$280 (US$36/£18) and is good for three to four persons.